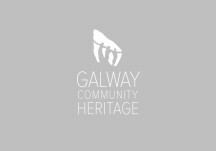 Galway County Heritage Office was established in June 2000 with the appointment of County Galway’s first Heritage Officer. 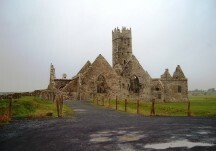 The Heritage Officer Programme is a joint initiative between the Heritage Council and local authorities including Galway County Council. Bunaíodh Oifig Oidhreachta Chontae na Gaillimhe i Meitheamh 2000 nuair a ceapadh an chéad Oifigeach Oidhreachta i gContae na Gaillimhe. Is comhthionscnamh é Clár an Oifigigh Oidhreachta idir an Chomhairle Oidhreachta agus na húdaráis áitiúla, Comhairle Chontae na Gaillimhe ina measc. Support the integration and inclusion of heritage policy across all sectors. Tacú le comhtháthú agus le cuimsiú beartais oidhreachta ar fud gach earnáil.